The United States is facing significant challenges oversize especially from global superpowers in this new multipolar world. A new report from RAND Corporation establishes the fact that the United States might lose a conflict between Russia and China. This report puts the United States in danger of military conflict globally. The American government needs to prepare for military combat and prepare civilians for 21st-century warfare. The United States military is taking significant steps to counter China and Russia. The current military budget is 700 billion dollars, which is the highest military budget in the world. This new high budget will help to counter Russia and China in space, cyberspace, navy, Air Force, and other combat needs. China is expanding its influence in the South China Sea, while Russia is increasing its power in Ukraine, Georgia, Syria, and Venezuela. These great superpowers are becoming more of a threat to US supremacy. However, the hope is the new budget will give America the technological edge to defeat China and Russia in conflict. America has fought in the Middle East since 9/11, which was about 20 years ago. Costing trillions of dollars and taking their eye off superpowers such as China and Russia. The hope is the new military budget will restore global order to ensure America is the dominant superpower for the 21st century. On the other hand, as the military prepares for conflict, the civilian population should be educated as well about the dangers of today’s weapons and technology that can harm the ordinary person. The civilian population is under serious threat from an attack by Russia,China, or both. 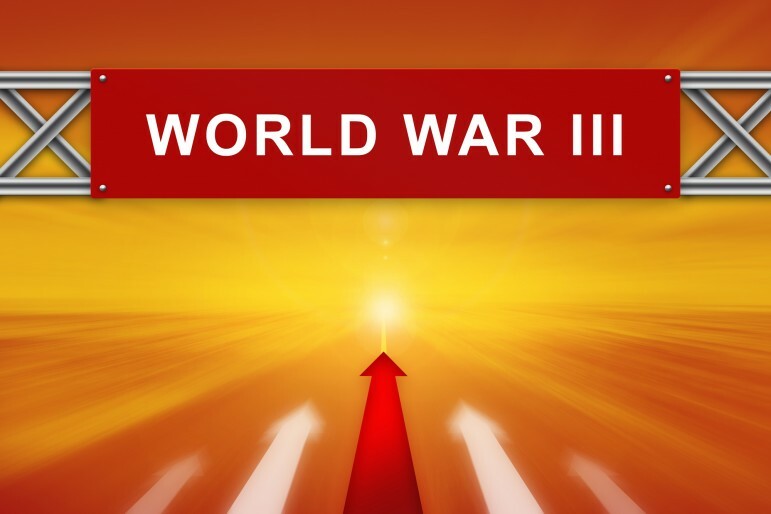 A cyber attack, EMP attack, economic warfare, threat of missiles, and nuclear weapons can cause civil unrest from these methods of war, which can lead to collapse to society. These attacks also affect the military, government agencies, and civilians. It is essential for the United States government to prepare for dangerous condition such as a cyber attack. Homeland Security has already has put out an alert because of an increased in danger of a cyber attack on the homeland, which affects citizens. Their recommendation is to have at least six months of supplies. However, Homeland security and government agencies should improve their marketing to inform citizens. Venezuela is suffering from a power outage for long periods of time hurting the economy, individuals, and increases the chances of unrest. Experts have claim the Venezuela government has failed to build its infrastructure. On the other hand, it could be a cyber attack that cut out the power. The Russian government in 2014 invaded Ukraine and manage to cut power to more then two hundred thousands residents. If the Russian military is capability, then governments like China have this capability. These are a perfect example where governments have failed to prepare their citizens. No longer need to invade a country if the people in that country kill themselves from the lack of food, power, money, and other resources. Plus outside influence to install a government that pro towards the government who committed the economic warfare, cyber warfare, hybrid warfare, and other secret methods of warfare. Russia has been preparing its citizens for all types of attacks, such as a nuclear attack on Russia. They have been building bunkers and telling their citizens to stock up on two years of supplies. Russia is prepared its citizens from a dangerous cyber attack that can kill millions from a power outage. By preparing their citizens, it delays civil unrest and chaos for the military and government agencies because an individual has taken the necessary steps to supply themselves. In the end, state, local, and the federal government need to do more to protect citizens from threats. 21st-century warfare includes both military and civilian focus. Preparing citizens now delays civil unrest.